Working here will give you the opportunity to experience the best of both worlds – a fantastic job at a company enjoying unstoppable growth as well as the infamous Devon lifestyle. Life here is unique. The beautiful countryside just sets a certain easy-going outlook running through your veins. There is always something going on at Lightfoot HQ. 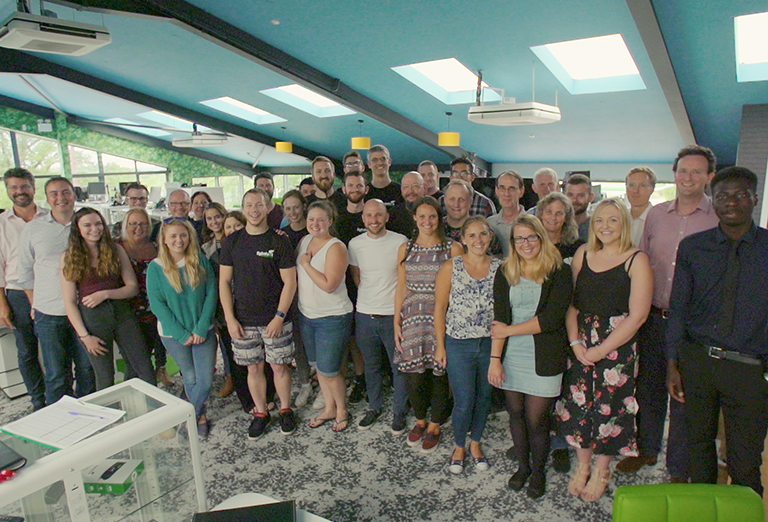 With two staff parties a year, charity runs, cinema sessions, beach trips, bowling competitions, and loads more; it’s a wonder we get anything done! Without wanting to go cliché crazy, a sense of humour will help no end. We are a tight-knit team and it’s down to all the fun we have together. Our open plan office means you’re just as likely to crack up with someone on the other side of the room as with your neighbour. Lastly, we need you to really get Lightfoot. We are our own biggest fans and it’s because we have a product that genuinely does good in the world. If you can see why Lightfoot is such a game-changer, you’ll be in good company, but if it doesn’t make much sense right now – don’t worry! We have a comprehensive, peer-led induction that will get you up to speed and shouting our smooth driving mantra from the rooftops in no time. An average day at Lightfoot… isn’t very average. Why not read Jade’s “Lightfoot Life” or our chat with Phil to get a taste of who’s here and what they’re up to. Our blog has tonnes of interviews with new starters and wise old heads alike, so have a browse to learn what working for Lightfoot is really like. Our vacancies can be found here. Even if you can’t see your dream job there right now, if you feel you have something to add to our team, please get in touch anyway!